Bright orange braces with leather straps. 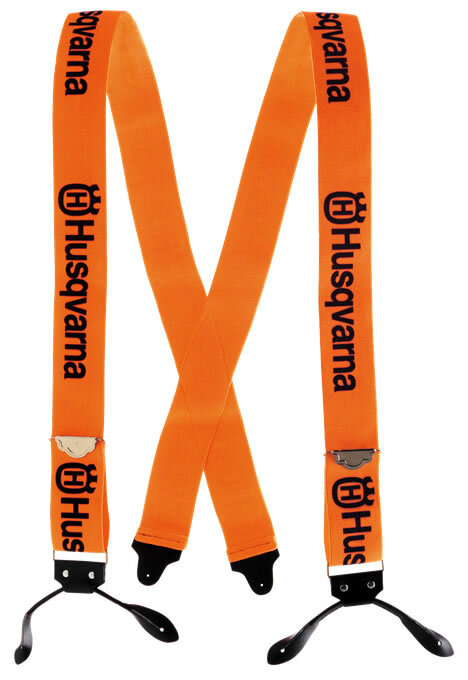 Intended to secure chainsaw trousers or chaps, these braces from Husqvarna are provided in a bright orange colour. They use leather ties instead of metal clips to secure the trousers.